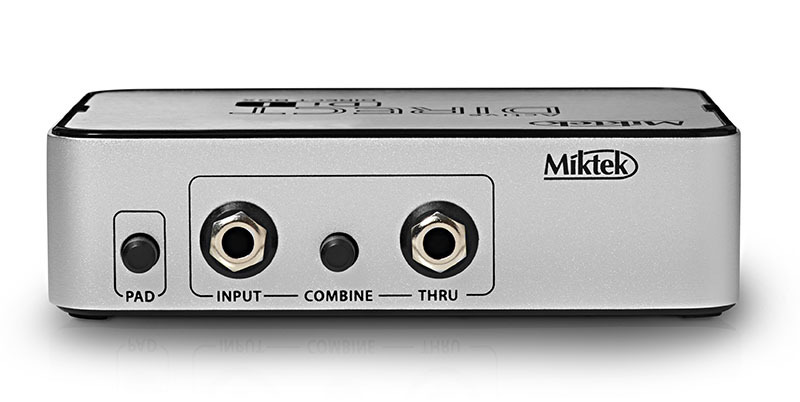 The Miktek DI1 provides the facility for the direct insertion of an audio signal into a mixer or recorder. 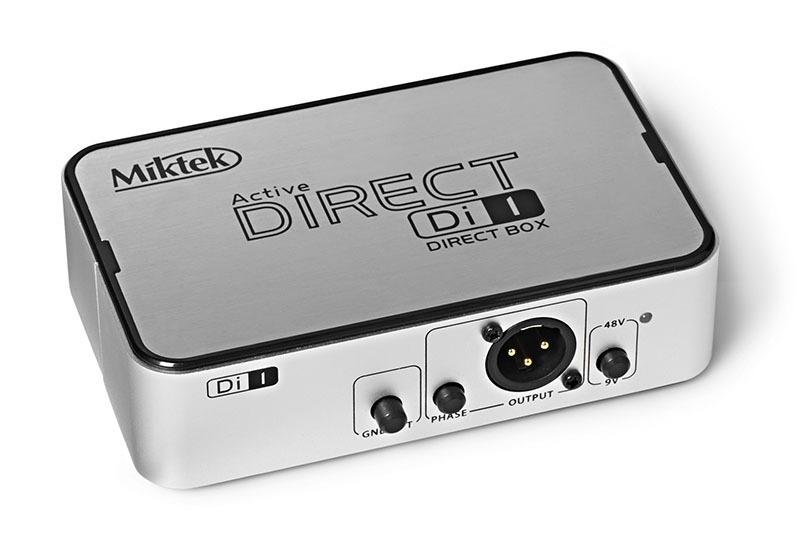 It offers a variety of DI solutions for live sound and recording applications. A variety of audio signals can be connected to your DI1, e.g. guitars, bass guitars, drum machines, keyboards, outboard signal processors, high powered speaker output from an amplifier etc. The DI1 can be powered either by a single 9 volt battery or standard 48 volt phantom power. Whenever phantom power is present on the XLR cable (connected to the OUTPUT), the DI1 will automatically disconnect the 9 volt battery and switch to phantom power. The DI1 enables you to tap off the signal from a guitar or bass guitar and pass the signal from the THRU output to the guitar / bass guitar amplifier without affecting the original sound. This can eliminate the need for miking the guitar amplifier, especially with bass guitar. 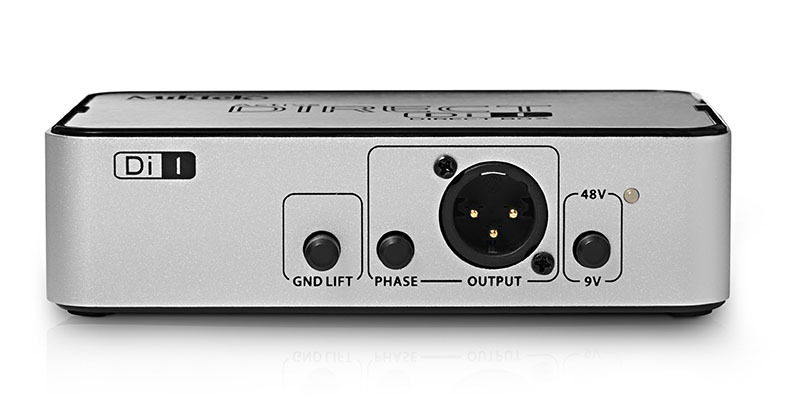 DI1 is an active direct box which has a power supply, hence you can rely on an even frequency response on any audio signal you connect to regardless of its output impedance. The OUTPUT connection gives cancellation of hums/buzzes while leaving the original signal clean and pure. Besides that the DI1 is also useful for connecting unbalanced signals such as DJ mixers, effects processors and keyboards to a main PA or recording mixer.